It all begins with experiment, Mitra Bukalapak‘s current online-to-offline model has contributed around 20% of the company’s total income. In order to increase the potential, Bukalapak is soon to invest up to 1 trillion rupiah on the program. It is to be held intensively in 2019. 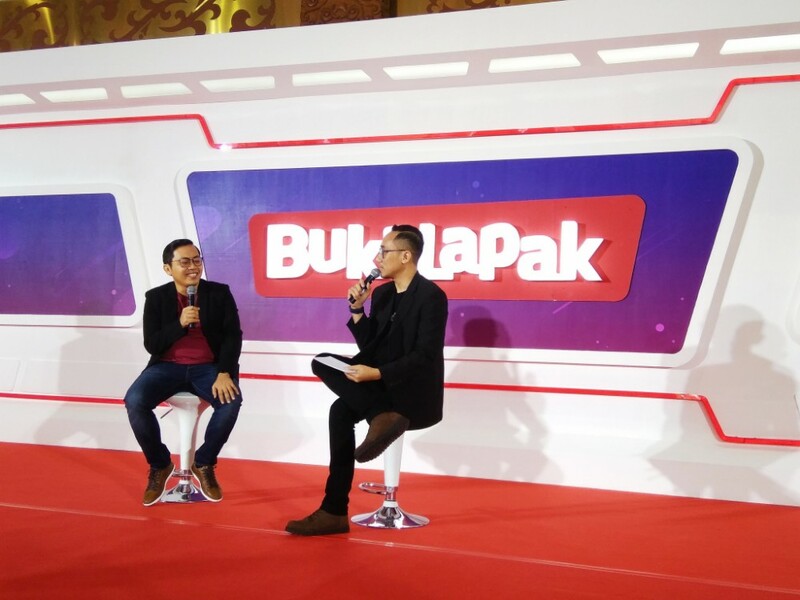 Ahmad Zaky, Bukalapak’s CEO stated to all media at Bukalapak’s 9th anniversary (1/10) that the rapid growth of Mitra Bukalapak was supported by consumer behavior which mostly are still making offline transaction. On the other hand, the rapid growth of smartphone penetration in various classes is claimed to develop stall business of Mitra Bukalapak. “Since the beginning, Bukalapak’s mission is to help SMEs to run online business. Now, through Mitra Bukalapak, we tried helping many Indonesian traditional stalls to increase sales,” he added. Since the establishment in 2017, Mitra Bukalapak has partnered with 500 stalls and 700 thousand independent business players in Indonesia. Entering the 9th year, Bukalapak claims to approach more than 4 million sellers and 50 million users all over Indonesia. They’ve launched some features and services for Mitra Bukalapak, such as Mitra Bukalapak app, “Warung Terdekat” [Nearest Stall] feature, Call Order Delivery (COD), and “Saldo bantuan” [Balance Support] service. “Later, Mitra Bukalapak will not only be the stall owners, but also farmers, fritters vendor, and other grocery stall owners,” he said. Regarding Bukalapak’s plan for fundraising, Zaky avoids to give further information. Likewise, the IPO plan which implementation is still uncertain. In a separate interview, Bukalapak’s Co-Founder and President, M. Fajrin Rasyid revealed the monthly Gross Merchandise Value (GMV) h has reached 4 trillion rupiah ($270 million) per month or Annualized GMV reached 48 trillion rupiah (around $3.2 billion). “In terms of profit, we’re currently on-track. All our business lines have grown a positive result,” Zaky said. Aside from helping traditional stall owners through Mitra Bukalapak, the engineer team is currently developing technology to create the latest innovation. They’re getting serious by establishing a Research and Development Center in Bandung and Bukalapak-ITB Artificial Intelligence & Cloud Computing Research Lab. Achmad Zaky, being mentioned about their target by developing such technology answered that Bukalapak has always create new experiment by launching new innovation. “One of those is Mitra Bukalapak, first come from experiment. We’ve also launched BukaBike which currently available at ITB. Later, if it resulted in good term, we’ll continue, otherwise it’ll be terminated,” he continued. Bukalapak’s engineer team is still trying some new technologies, such as IoT, machine learning, and AI. Starting from the drone development to unmanned store which many China-based e-commerce have developed. Although it’s still in planning and trial, this kind of technology and innovation will be Bukalapak’s focus in the future. “We managed to prove with a discipline funding, we’re capable to make a significant growth. Using more than 2500 country’s best talents, Bukalapak is to build Indonesia through technological innovation and creativity,” he finished.